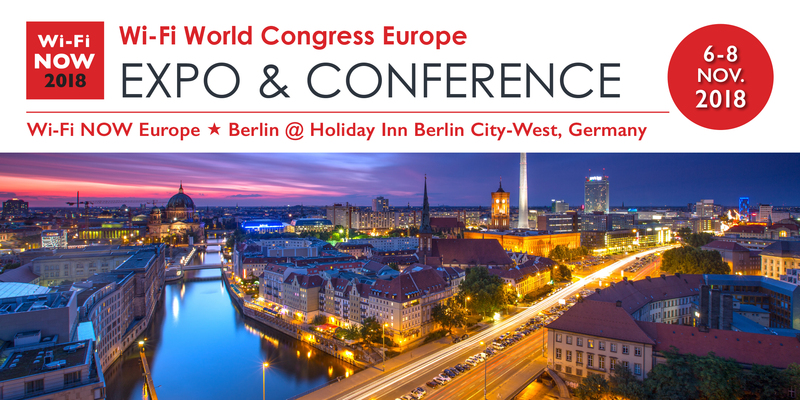 Wi-Fi NOW Europe is going to Berlin this November 6-8! We’re excited and delighted to announce that this year’s Wi-Fi NOW Europe event will be held in the great city of Berlin, Germany on November 6-8! At the heart of Europe’s biggest economy, Berlin is not just a great city to visit, it’s also a growing tech hub and home to many of Germany’s biggest wireless companies as well as many progressive startups. To make it as easy and low-cost as humanly possible, we’ve selected the Holiday Inn Berlin City-West as our venue. It’s not only a great location relative to travels (distance to airport, etc.) but also within easy reach of Berlin’s beautiful and historic city centre. Berlin is also known as a fairly low-cost travel destination in Europe, which means that we’re giving you every opportunity to join us. If you’re interested in a role at Wi-Fi NOW Europe 2018, feel free to contact us already now! We will for sure be filling up fast.